What’s Missing from the Mastectomy Conversation? For Pinktober Self Magazine featured photos from AnaOno Intimates, a company that makes lingerie for women who’ve had “breast cancer-related surgeries.” When the article came across my Facebook feed I clicked because, YES, of course I want to celebrate a company making bras and undies for breast cancer survivors! Nope. Each of the five women in the article had a pair of full, lovely, curvy breasts. Surely, I am not the only breast cancer survivor who is hungry for representations of women proud of their misshapen bodies. Nearly 40 percent of women in the United States who undergo mastectomy for breast cancer choose not to reconstruct, according to a study published in February 2014 in the Journal of Clinical Oncology. That’s 4 in 10 women. Other studies suggest the number is even greater. So where are these women? Are they in the self-congratulatory pages of Self Magazine? No. Can we please stop rubber stamping homogenous femininity onto the bodies of breast cancer survivors? The failure to portray a full spectrum of survivorship, in my mind, is not AnaOno’s because the company does have a picture of a flat-chested model on its site. The failure belongs to the magazine. Once more, a major women’s magazine narrowed its vision to see (and show) only women who chose full-on reconstruction. I’m a magazine journalist, I get it. Visibility is good. But I just have one request: can we PLEASE broaden the spectrum of what we make visible? 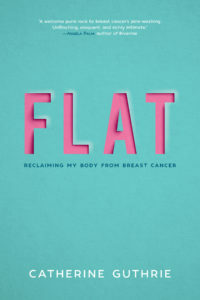 Comments Off on What’s Missing from the Mastectomy Conversation?